Autism spectrum disorder (ASD) affects approximately 1 to 2 % of the school-age population. The majority of children with autism are educated within the public school system, most often in general education classes, either full- or part-time. Thus, teachers (regular and special education) and other school personnel must be familiar with current best practices for identifying and treating children with ASD. However, many do not have formal training in educating and intervening with this group of children. To address the increased need for services in school settings, it has been recommended that school personnel participate in trainings to develop the skills and competencies necessary to provide effective services to students with ASD. 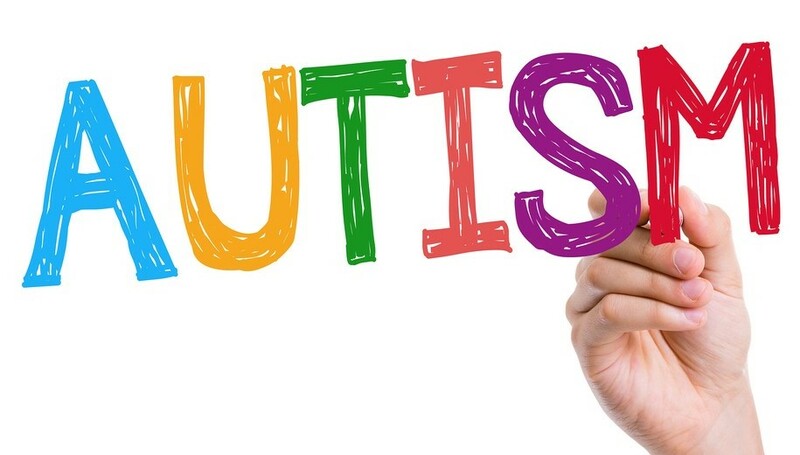 Although a review of the literature suggests that school personnel are receiving some specialized training related to autism, there continues to be a pressing need for more continuing education opportunities and improved preparation. 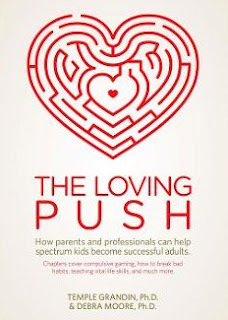 It is vital that school personnel understand this complex disorder in order to help students achieve positive outcomes, especially since they share the responsibility of educating the increasing number of children being identified with ASD. Although there is a paucity of research focusing on school personnel's perceived and/or factual knowledge of autism, a pilot survey published in the School Psychologist provides us with an exploratory investigation of teacher, counselor, and paraprofessional knowledge of autism. 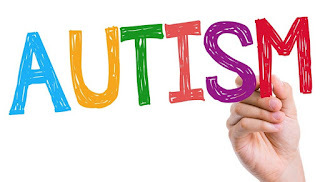 The survey attempted to answer the following questions: (a) To what extent do school personnel (teachers, counselors, and paraprofessionals) perceive that they are competent in their understanding of autism? ; (b) What is school personnel's factual knowledge of autism (definition, assessment/diagnosis, and treatments)? ; and (c) To what extent do school personnel that work directly with students with autism differ in their perception and factual knowledge of autism in comparison to those who do not work with students with autism? Fifty-four school personnel from a southwestern state participated in the pilot survey. Participants were school district employees enrolled in various graduate level majors who were attending a small university (within the college of education) in the Southwestern United States. The sample included 26 general education teachers, 14 special education teachers, 7 school counselors and 7 paraprofessionals. Seventy percent indicated that they worked directly with students diagnosed with autism (instructor, interventionist, care-provider, etc. ), while approximately 30 percent indicated that they indirectly served students with autism (consultant, academic planning, multidisciplinary team member, etc.). 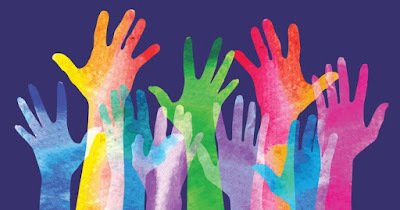 A majority indicated that they had never participated in autism training(s) and when asked whether they would like to take part in future training(s), most indicated that they did not have a desire to participate. Participants completed two measures developed by the authors, a Perceptions Survey and a Knowledge Survey. Both measures contained items derived from empirically-supported findings in the research literature. The Perceptions Survey items were designed to assess the respondents' perceived competence of their knowledge and ability to implement research findings. The Knowledge Survey items were designed to assess the respondents' factual knowledge of research findings about autism (definition, assessment/diagnosis, and treatment). The results of the survey indicated that overall, the perceived competence of general and special education teachers, school counselors, and paraprofessional regarding their knowledge of autism was average. Although school personnel that work directly and indirectly with students both reported having average perceived competence, those providing direct service had a statistically significantly higher level of perceived competence. The results of the Knowledge Survey indicated that school personnel who work directly with students correctly defined the disorder, while those that do not demonstrated moderate knowledge with some errors. However, school personnel's factual knowledge about the assessment/diagnosis and treatment of autism was low, regardless of whether services were delivered directly or indirectly. The findings of this pilot survey raise several important questions about school personnel’s perceived and factual knowledge about autism. A majority of participants indicated they had no prior training and expressed little interest in receiving education related to autism in the future. This is concerning, given that all participants working with students with autism, either directly or indirectly, reported average perceived competence yet demonstrated a low level of factual knowledge. This divergence suggests that teachers, school counselors, and paraprofessionals may overestimate their factual knowledge about autism and as a result, fail to see a need for additional training. Despite the study’s limitations (e.g., small sample size) and need for further research relating to school personnel’s perceptions and knowledge, the results have significant implications for school-based practice. For example, administrators, supervisors, and support professionals such as school psychologists should exercise caution when assuming that school personnel have an adequate factual understanding and working knowledge of autism. It is also important to recognize that anecdotal reports are insufficient when determing the need for training and that direct assessment of factual knowledge is required. Failure to correctly identify training needs can have a negative effect on screening/assessment and intervention selection, planning, and implementation. The results also raise an important question as to what extent school personnel’s perceived knowledge about autism might limit their willingness to participate in training and contribute to resistance in consultation. There is a critical need for more coordinated efforts among community and school professionals for the training of teachers in evidence-based instruction and behavioral management practices for children with ASD. Because the knowledge base in ASD is changing so rapidly, it is imperative that school personnel remain current with the research and up to date on scientifically supported approaches that have direct application to the educational setting. For example, some intervention and assessment procedures require a specific knowledge base and skills for successful implementation. It is vital that service providers understand best practice procedures across school, community, and home settings. School personnel can help to ensure that students with ASD receive an effective educational program by participating in training programs designed to increase their understanding and factual knowledge about assessment and intervention /treatment approaches. Williams, K., Schroeder, J. L., Carvalho, C., & Cervantes, A. (2011). School personnel knowledge of autism: A pilot survey. The School Psychologist, 65, 7-9. Lee A. Wilkinson, PhD, NCSP is a licensed and nationally certified school psychologist and a certified cognitive-behavioral therapist. He provides consultation services and best practice guidance to school systems, agencies, advocacy groups, and professionals on a wide variety of topics related to children and youth with autism spectrum disorders. Dr. Wilkinson is author of the award-winning books, A Best Practice Guide to Assessment and Intervention for Autism and Asperger Syndrome in Schools and Overcoming Anxiety and Depression on the Autism Spectrum: A Self-Help Guide Using CBT. He is also editor of a best-selling text in the APA School Psychology Book Series, Autism Spectrum Disorder in Children and Adolescents: Evidence-Based Assessment and Intervention in Schools. His latest book is A Best Practice Guide to Assessment and Intervention for Autism Spectrum Disorder in Schools (2nd Edition). Suicide and suicidal ideation are serious public health problems among youth in the United States. Suicide is the third leading cause of death among individuals between the ages of 10 and 14, and the second leading cause of death among individuals between the ages of 15 and 24. More teenagers and young adults die from suicide than from cancer, heart disease, AIDS, birth defects, stroke, pneumonia, influenza, and chronic lung disease, combined. It is estimated that 1 in 12 high school students may attempt suicide each year and that more than 2 million adolescents aged 12 to 17 suffered a major depressive episode in the past year. Moreover, estimates for suicide deaths in younger age groups tend to be conservative because suicide deaths may be misclassified as accidental or undetermined. The extant research indicates a strong relationship between depression and suicidal ideation or attempts. Children and youth on the autism spectrum (ASD) frequently have co-occurring (comorbid) psychiatric conditions, with rates significantly higher than would be expected from the general population. In fact, depression is one of the most common comorbid conditions observed in individuals with ASD, particularly higher functioning youth. Studies of psychiatric comorbidity in young adults with ASD revealed that a majority had experienced at least one episode of major depression and reported recurrent major depression. Although depression is frequent in autism, there is little research available on suicidal ideation and attempts in children and youth with ASD. This knowledge is critical to help identify at-risk children and target risk factors for intervention in order to reduce and prevent suicide ideation and attempts. Experts agree that much needs to be learned about suicide ideation and attempts, depression, and other psychiatric comorbidities in ASD. A study published in Research in Autism Spectrum Disorders examined the frequency of suicide ideation and attempts, as well as risk factors in 791 children with autism (1–16 years), 35 depressed children without ASD, and 186 typical children. Mothers rated their children on a 4-point scale from “not at all a problem” to “very often a problem” on a 165-item pediatric behavior scale (PBS). Dependent variables were two items assessing suicide ideation (“talks about harming or killing self”) and attempts (“deliberately harms self or attempts suicide”). Co-occurring problems scores on the PBS included teased by peers; behavior problems (e.g., disobedient, defiant, and aggressive); mood dysregulation (e.g., explosive, irritable, and temper tantrums); attention deficit, impulsive; hyperactive, anxious, depressed, poor peer relationship (e.g., difficulty making friends); psychotic features (e.g., hallucinations and confusing fantasy and reality); underaroused (e.g., drowsy and sluggish), eating disturbance (e.g., poor appetite, over eating, binging, and purging); excessive sleep, sleeping less than normal and difficulty falling and staying asleep; and somatic complaints (e.g., headaches and stomachaches). Data analyses compared scores between the children with autism, depression, and typical development. Age, IQ, gender, race, socio-economic status (SES), autism severity, teased, and comorbid psychological problem scores also analyzed to predict children whose mothers rated suicide ideation or attempts as sometimes to very often a problem versus never a problem. The results indicated that the percentage of children with autism who had ideation or attempts was 28 times greater than that for typical children, but less than for depressed children. For children with autism, four demographic variables (age 10 or older, minority status, lower SES, and male) were significant risk factors of suicide ideation or attempts. The majority of children (71%) who had all four demographic risk factors had ideation or attempts. Comorbid psychological problems most highly predictive of ideation or attempts were depression, behavior problems, and being teased or bullied. Almost half of children with these problems had suicide ideation or attempts. Depression was the strongest single predictor of suicide ideation or attempts in children with autism with 77% of children with ideation or attempts considered by their mothers to be depressed. A significant finding was that there was no difference in the frequency of suicide ideation or attempts between higher functioning children with ASD and those children with more severe impairment (e.g.., intellectual disability). This study provides important information regarding the risk factors related to suicide in children and youth with ASD. A major finding is that many of the predictors of and variables associated with suicide behavior in adolescent and adult psychiatric and nonpsychiatric samples are also found in children with ASD. For example, ideation or attempts were associated with behavior problems (disobedient, defiant, and aggressive), impulsivity, and mood dysregulation (explosive, irritable, and temper tantrums). Children with these externalizing problems combined with the internalizing problem of depression are at high risk for suicide ideation and attempts. Teasing and bullying by peers is a common problem for children on the spectrum and was reported by a majority of mothers in the study. Suicide ideation or attempts were three times more frequent in children who were teased than in those not teased. The finding that the frequency of suicide ideation and attempts did not differ as a function of severity or IQ also suggests that many of the correlates of suicide behavior apply across the entire autism spectrum. The authors recommend that all children with ASD be screened for suicide ideation or attempts because the frequency of ideation and attempts is significantly higher than in typical children and does not differ as a function of autism severity or IQ. 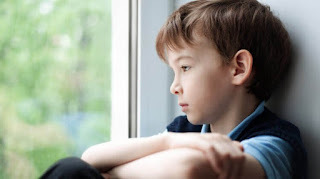 This is especially important for children who have demographic and comorbid risk factors, including age 10 or older, male, minority status, lower SES, teased, depressed, impulsive, behavior problems, and mood dysregulation. Practitioners must fully be aware of the risk of suicide along with preventative and treatment methods. Addressing suicide in youth relies on prevention techniques and modification of risk factors, along with therapeutic intervention once children are identified as at-risk. Evidence-based techniques to reduce depression and prevent suicide should be incorporated into programs and services for children with ASD who present with risk factors. This should include interventions aimed at addressing co-occurring problems that may contribute to suicidal ideation and attempts, such as teasing, depression, behavior problems, impulsivity, and mood dysregulation. Lastly, future research should investigate other predictors (e.g., previous attempts, negative life events, family history of suicide, and biologic and neurochemical variables), which may improve identification of children at risk for suicide ideation and attempts. Mayes, S. D., Gorman, A. A., Hillwig-Garcia, J., & Syed, E. (2013). Suicide ideation and attempts in children with autism. Research in Autism Spectrum Disorders, 7, 109-119. Children with autism spectrum disorder (ASD) frequently engage in maladaptive behaviors such as aggression and rituals. The most distressing to caregivers and challenging for health care providers are self-injurious behaviors (SIB). These behaviors are classified as any type of action directed towards the self, resulting in physical injury. They are often rhythmic and repetitive and can range from mild head rubbing to severe head banging and may become life threatening. An improved understanding of the incidence and risk factors associated with SIB in autism is needed to develop treatment options. A study in the Journal of Autism and Developmental Disorders assessed 7 factors that may influence self injury in a large group of 250 children and adolescents with ASD: (a) atypical sensory processing; (b) impaired cognitive ability; (c) impaired functional communication; (d) deficits in social interaction; (e) age; (f) the need for sameness; and (g) ) compulsive or ritualistic behavior. Other factors that may influence SIB incidence such as gender and ASD severity were also assessed. A series of diagnostic tests were administered either directly to the children and adolescents or to their parents to assess: (a) autism severity; (b) cognitive and adaptive ability; (c) and receptive and expressive language; (d) repetitive behaviors; and (e) self-injury. The results indicated that half of the children and adolescents demonstrated SIB. Atypical sensory processing was the strongest single predictor of self-injury followed by sameness, impaired cognitive ability and social functioning. Age, impaired functional communication, and ritualized behavior did not contribute significantly to self-injury. No significant effects of gender or severity of autistic symptoms were found in the study. It appears that self-injury is highly prevalent in children and adolescents with ASD. Atypical sensory processing and the need for sameness were contributors to SIB in this study, indicating that clinicians may want to focus on these two risk factors to develop function-based treatment options for self-injury. It is critical that interventions that target the risk factors associated SIB be identified and implemented in clinical practice. Providing empirically supported behavioral interventions to children and adolescents with autism and SIB will not only impact directly on the problem behavior, but will enhance social, educational, and adaptive functioning as well. Further research is clearly needed to better understand additional contributing factors that may influence these complex behaviors in children with ASD. For example, temperament, ability to self-regulate emotions, and medication usage might contribute to increased self injury. There has been a dramatic worldwide increase in reported cases of autism over the past decade. The prevalence rates in the US have risen steadily, from one in 150, to one in 110, and now to one in every 59 American children. This increase in the prevalence of ASD indicates that a correspondingly large number of youth will be transitioning into adulthood in the coming years. For example, it is estimated that approximately 50,000 adolescents with autism will turn 18 years old this year in the U.S. Unfortunately, outcomes are almost universally lower for young adults on the autism spectrum compared to their peers. As these numbers continue to rise, there is a pressing need to understand the transition experience of young adults with ASD in today’s world. According to a study published in the journal Autism, young adults with ASD are more likely to live with their parents and least likely to live independently after leaving high school as compared to those with other types of challenges. For the study, researchers examined the prevalence and correlates of three living arrangements (with a parent or guardian, independently or with a roommate, or in a supervised setting) among a nationally representative sample of 620 postsecondary young adults with ASD since leaving high school. They were compared with 450 individuals with intellectual disability (InD), 410 with learning disabilities (LD) and 380 with emotional disturbance (ED) who were all part of the National Longitudinal Transition Study-2, a long-term federally-funded survey of students in special education and their parents. Compared with other young adults with special needs, young adults with an ASD were significantly more likely to have ever lived with a parent or guardian (87.1%) and less likely to have ever lived independently (16.6%) since leaving high school. In follow-up analyses, the researchers found no independent living among young adults with ASD who had been out of high school for 2 years or less at the time of the survey. Overall, the study’s findings show that young adults with an ASD have a different residential transition experience than their peers with LD, ED, or InD. Young adults with an ASD resided with a parent or guardian at higher rates and for longer periods of time after leaving high school than young adults with other disabilities. 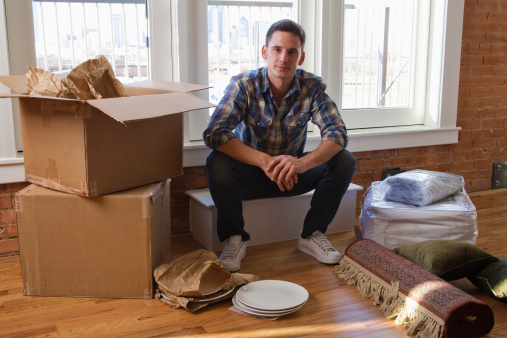 Moreover, young adults with an ASD had the highest rate of supervised living arrangements and the lowest rate of independent living since leaving high school. These results suggest that young adults with an ASD are particularly vulnerable during the initial years in the transition to adulthood where they experience a shift in service provision after leaving high school. Consequently, many young adults with an ASD are not experiencing opportunities to explore various residential options as young adults. The evidence presented in this study suggests that the vast majority of young adults with ASD will be residing in the parental or guardian home during the period of emerging adulthood. The lack of services available to help young adults with ASD transition to greater independence has been noted by researchers for a number of years and has become an increasingly important issue as children identified with ASD reach adolescence and adulthood. Comprehensive transition planning and support for students leaving high school and exiting special educational programming, each with unique strengths, interests, and challenges, is an urgent task confronting our communities and schools. Greater emphasis must be placed on transition planning as a key process for helping youth build skills and access services as they leave school and enter adulthood. More research is needed to identify ways to effectively implement residential transition plans that best meet the needs and pref­erences of young adults with ASD and their families. Research suggests that prolonged caregiving of an adult child with autism can adverse effects on maternal well-being. Thus, investigating a variety of in-home interventions that might improve the quality of life for families and adults with ASD may be helpful in that the vast majority of young adults are residing in the parental home. Lastly, the focus of intervention/treatment must shift from remediating the core deficits in childhood to promoting adaptive behaviors in secondary education that can facilitate and enhance ultimate functional independence and quality of life in adulthood. This includes addressing new developmental challenges such as independent living, vocational engagement, postsecondary education, and family support.